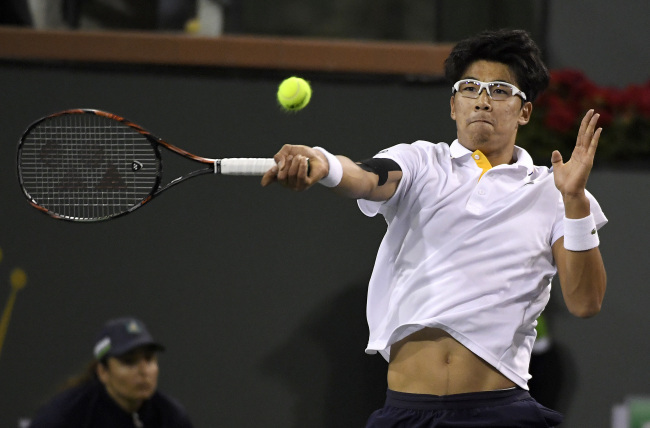 Korean Chung Hyeon became the top-ranked player on the ATP Tour on Monday. The 21-year-old rose three spots to reach a new career-high No. 23 in the latest men's tennis rankings unveiled Monday. Chung reached the quarterfinals at his most recent event, the BNP Paribas Open in Indian Wells, California, last week, for his fifth consecutive appearance in the final eight. He lost to world No. 1 Roger Federer in straight sets. Still, Chung replaced Kei Nishikori of Japan as the highest-ranked Asian male player. A former world No. 4, Nishikori slipped from 25th to 33rd this week.